Homeopathy to suffice WHO's goal of good health! You are here: Home » Articles » General » Homeopathy to suffice WHO's goal of good health! Yoga, exercises, walk, swimming, cycling: everything for Health! The video and the article explains Health. Share the Wealth of info to let your contacts achieve Health. What is the definition of health? What is physical, social, mental, spiritual well being? Do you know? Here is a video in which Dr. Ashutosh Pradhan explains about it in very simple language which also has been covered in the article below the video. According to World Health Organization (WHO) health is physical, mental, social, being and not merely absence of a disease or infirmity. Quite often when we say, "Touch wood I am healthy", this saying has to do with absence of disease. Are we enjoying health at mental, social, and spiritual levels? When we talk of disease at mental level, it is considered as the person has psychiatric illness. If that is the reality, then what are the parameters of being in health on the mental, social, as well as according to me on spiritual level? To my opinion only being in a state of health as specified is not enough and the individual should also be satisfied with what state he is in. Completely being in a state of health additionally being satisfied is what Quality of Living is all about! The basics of mental health refer to a person who enjoys balance between: love, hate, anger, envy, jealousy, emotion, and fear. In addition to this, the person should not be at 'war' with himself. One who is suffering from stress has imbalance of either of these parameters. A person needs to be स्थितप्रज्ञ ('sthithapradnya' balanced state of mind) state of mind to enjoy mental health. However, this does not indicate that do not enter in a situation that leads to emotional turmoil. To be in good health you need to have equal 'doses' of love, hate, anger, envy, jealousy, emotion, and fear. It is now a well-proved fact that mind plays pivotal role in all diseases. When we say disease, it is 'dis'-'ease', which means not at ease. As the term denotes the disease, start at the mental level first and evolves itself to the physical level. The one who has ill health at the level of mind experience illness few days/months/years from that point of living. The physical health describes a person in complete sense of well-being, energy and not suffering from constipation, or complaints related to urination, his breath having sweet smell. He should not be aware of any of the normal bodily function. His skin should have a healthy shine. Spiritual health indicates healthy principles of life. This does not necessarily mean that the one who read or participates in religious activities is spiritually healthy. All the principles should be applied in day-to-day life. The global scenario today is doctors are interested in super specialization. A day will come when we may have right ear specialist or a left ear specialist. Very few physicians perceive the integrity of a person as a whole. However, no one treats mind as an organ in management of a disease or an illness. Homeopathy considers mind as an organ. Yet, body and mind are one and the same. All the homeopathic medicines possess a unique behavioral pattern. Though not always homeopathy, yet the one, who accepts mind as an organ, can unlock the dead lock of any disease. 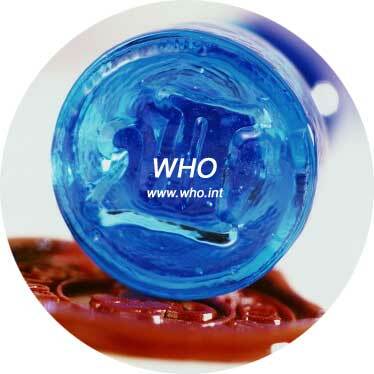 WHO was founded in 1946 with an objective to achieve highest possible level of health by all people. The constitution of WHO defined health in 1946. The wording of which was further refined in 1948. After 1948 there have been no change in the definition of health. As per the constitution the WHO's main objective of WHO is to achieve highest level of health as defined in it's constitution. However, it is a time proven fact that only homeopathic science has potential to restore a sick to highest level of health as defined by WHO. We as Homoeopaths, support WHO to achieve the target of Health. Do you?